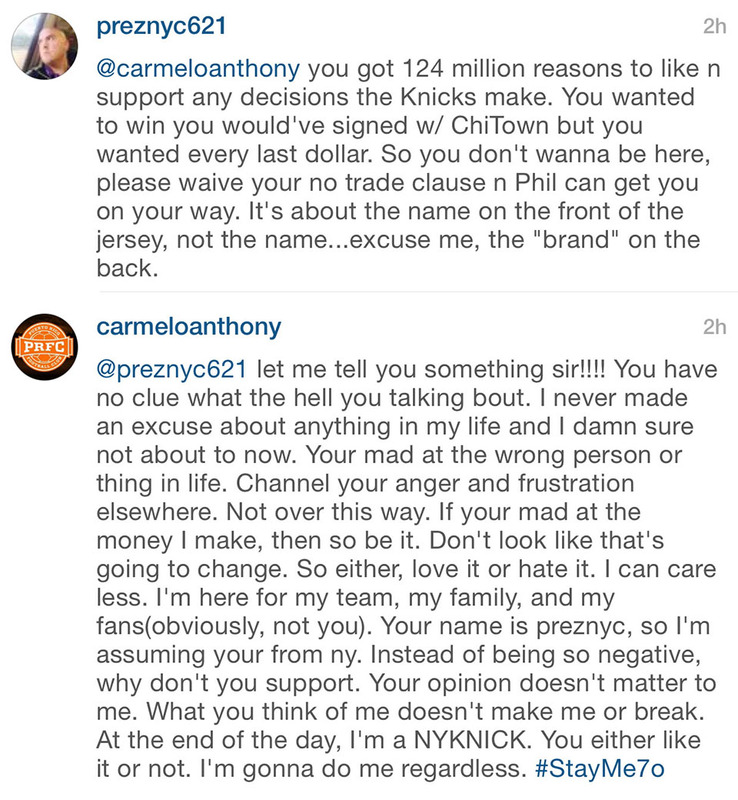 CBS Sports first caught Anthony's comments, in wake of reports that surfaced after Thursday's draft that the Knicks star was unhappy with team president Phil Jackson's draft decisions. Most notably, the Knicks selected Porzingis, a 19-year-old Latvian big man, over more proven prospects and dealt guard Tim Hardaway Jr. to Atlanta for the No. 19 pick – Notre Dame guard Jerian Grant. As Knicks fans made their opinions known on his page, Anthony took matters into his own hands and offered what amounted to a defense of the Knicks as well as clarifying his own feelings on the draft and the direction of the franchise. This included Porzingis, a hotly debated selection with players like Emmanuel Mudiay and Willie Cauley-Stein also on the board at No. 4. Things got kind of personal. How Anthony really feels should become clearer in time, but credit him for defending the organization. The situation in New York will remain intriguing. • MANNIX: How does Porzingis pick grade out for Knicks?